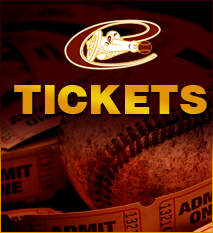 Regular Home Games begin at 7:00PM and the gates open at 5:30. Please view the Purcellville Cannons Conduct Policy prior to attending our games. 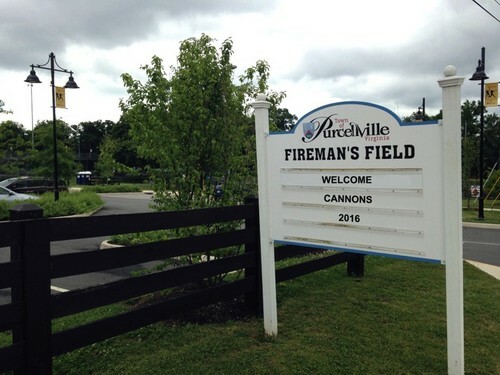 The 13-acre Fireman’s Field park is located in the heart of the Purcellville Historic District and includes two baseball fields with the main one selected as the home of the Purcellville Cannons. The same field has been the site of the Babe Ruth League World Series six times. The Historic Bush Tabernacle (skating rink) at Fireman’s Field is a unique eight-sided structure that was once the largest building in Loudoun County until the construction of Dulles Airport in 1962. Today, Fireman’s Field property is listed on the state and national registers of historic places. Click video to see an arial view of the field. Click the image above for more information about Fireman's Field.